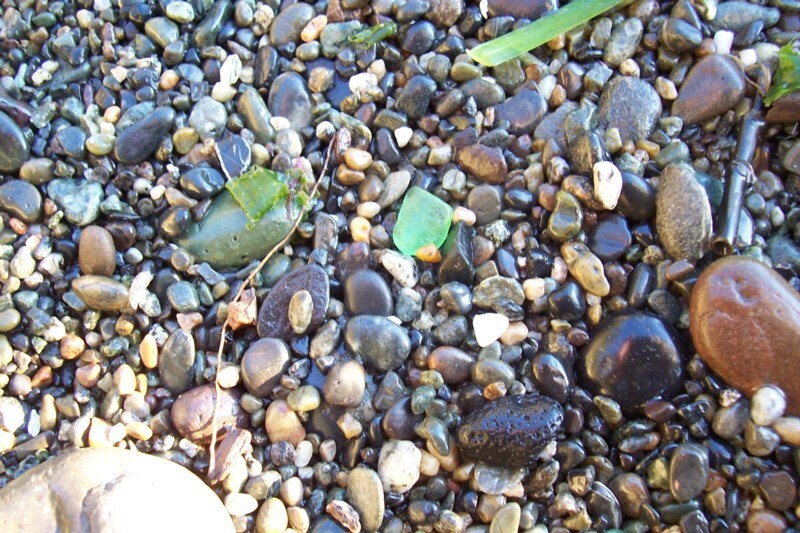 Beautiful photos of sea glass, beach rocks and more. 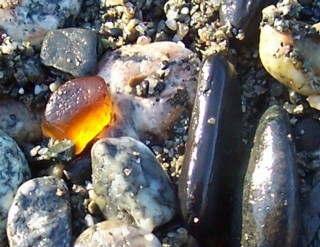 On this page, we feature Rosario Beach on Fidalgo Island in the State of Washington, USA. Although Rosario Beach is not what one would call a "destination site" for serious sea glassers, it definitely is one of the most beautiful places to visit. With its vistas of Pacific Northwest islands, evergreen trees, rugged rocky crags, picturesque beaches, and some of the most beautiful beach pebbles imaginable, Rosario is among our favorite places to relax. It is a Washington State Park and does have a reasonable fee for day use. 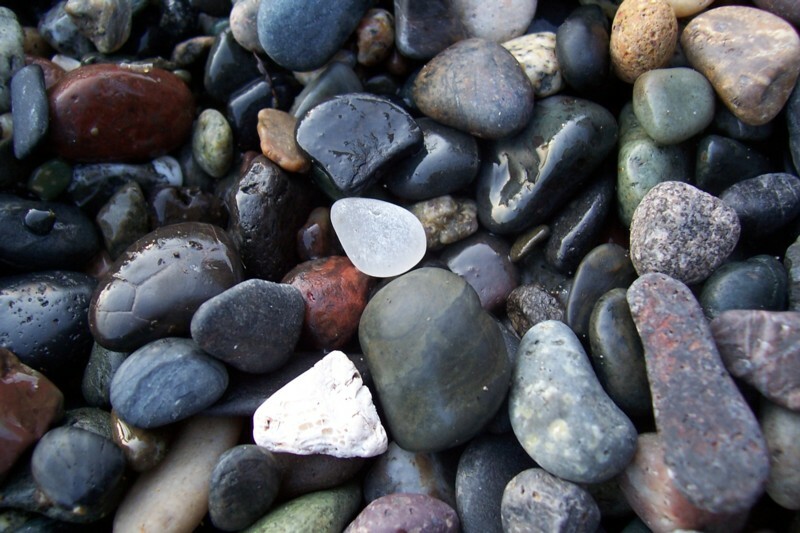 Why do we love looking at sea and beach glass photos, pics of closeups of beach rocks, driftwood' and shells, or even black and white images cast on the rocks or sand by the contrast of bright sun and sharply defined shadows? Aside from purely artistic reasons, it may be that we don't often have a chance to see the real thing in person. 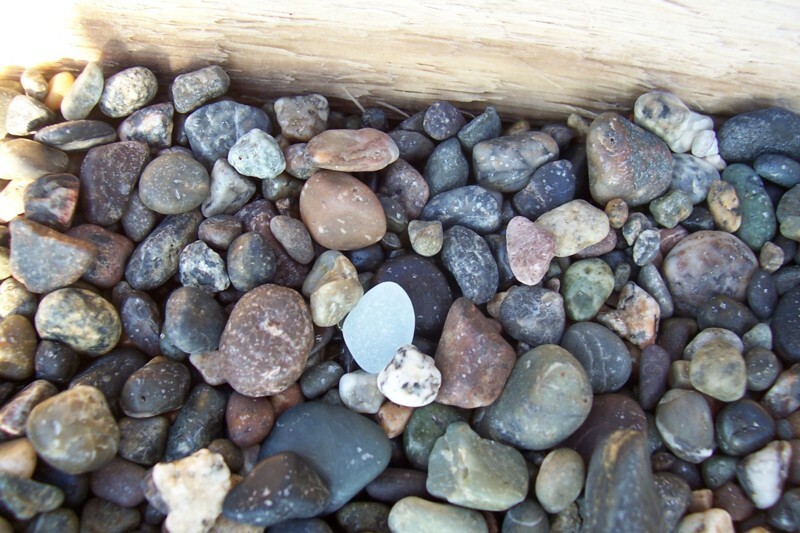 Even if we do have a camera, do go to the beach, and do find sea glass,beach pottery shards, driftwood, and interesting unidentified objects, a lot of times we get back home with...you got it...no sea glass photos. 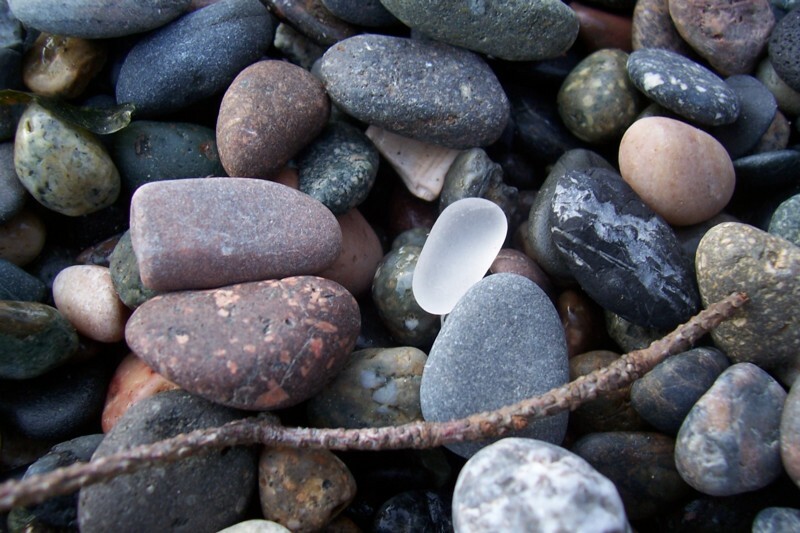 So one of many reasons that we like looking at sea glass photos (or beach glass photos) that others have taken is that we simply have not taken any photos ourselves. For example, how many times have you said, "I would love to get a picture of that ... (blue piece, orange pottery shard, etc. )," only to remember that the camera is way back in the car some place; or worse yet, left at home. Even if it's just in our backpack, we have a tendency to put off taking the camera out and shooting a picture. This applies, of course, to the sea glass photos we would love to take. 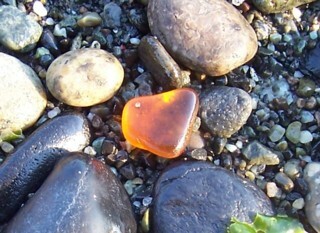 Sea Glass Photos 1 - Taking Photos is Love/Hate? It's not like when we're around others who are taking pictures. We're reminded when one of those around us starts taking pictures.That's when the light bulb goes on and we say, "Hey, wait a sec! Let me get my camera." Also, we are more prepared when we know weare going to be doing something really out of the ordinary, forexample, taking an exotic eco tour where we expect to see some remarkable shots that we want to capture, or going on a once-in-a-liftime cruise to the Norway fjords. But here closer to home, a lot of us take our cameras and just plain forget to take photos in the midst of the fun we are having. So later,when we do get home and want to remember what was remarkable about the day at the beach, we unfortunately don't have any photos. 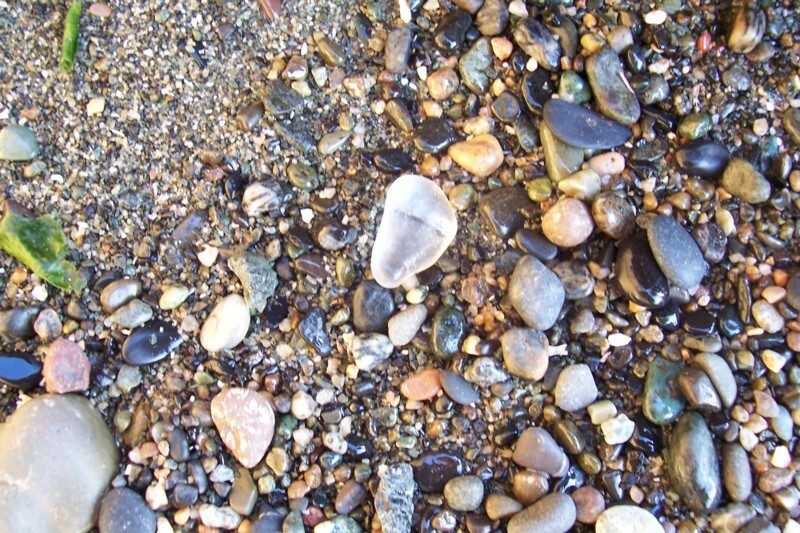 But we can get on line and look at sea glass photos, anyway. Like we're doing right now! 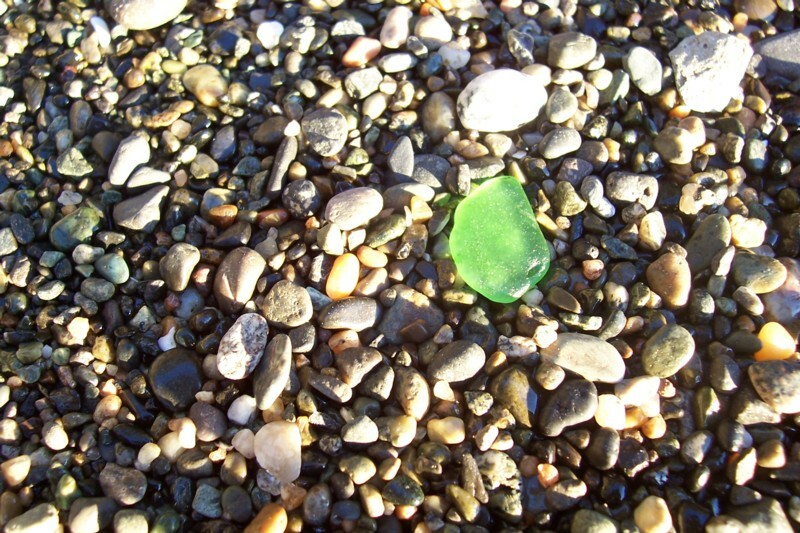 NEXT - See more pages in our gallery of Sea Glass Catch of the Day Photos! Or scroll down past the Facebook comments to see many more reader submissions that may not be in the galleries.